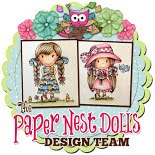 Cheery's Craft Haven: Day 3 of Kraftin' Kimmie Stamps Krafty Peeks! 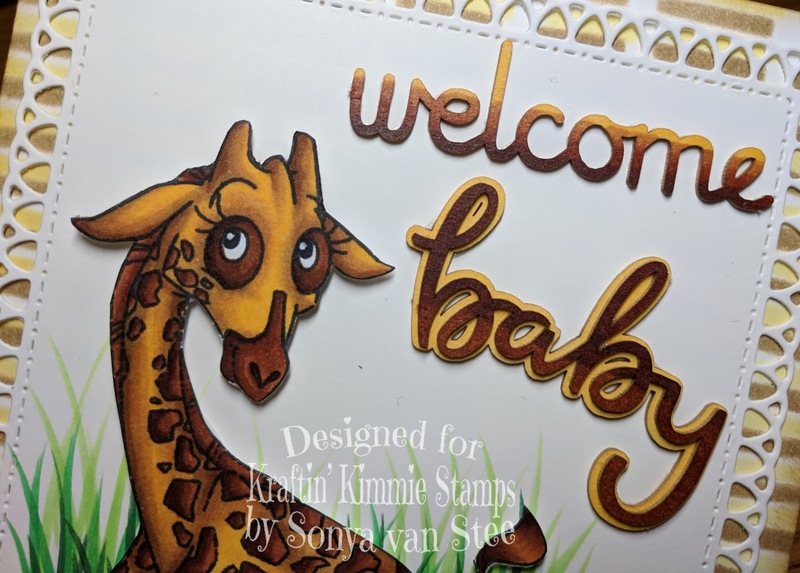 Day 3 of Kraftin' Kimmie Stamps Krafty Peeks! This release just keeps getting CUTER and CUTER! 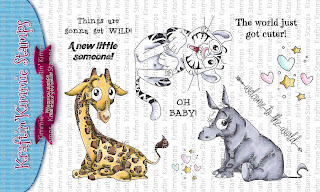 I mean, seriously, just look at this adorable new set from Emilie Goulet called WILD WORLD! Rhinos, and tigers, and giraffes, oh my! They're so crazy ADORABLE!!!!!!! 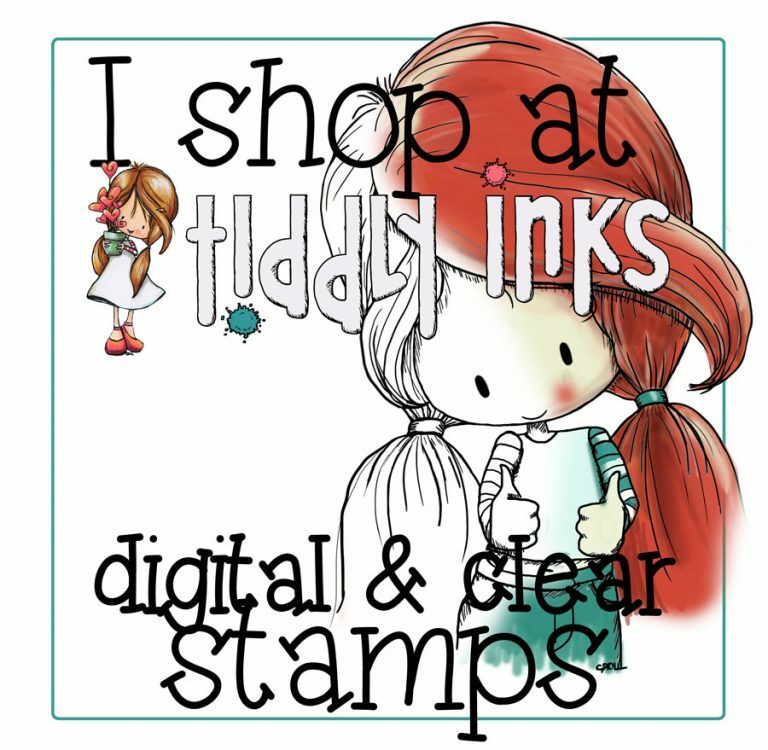 I love the accessory stamps, too - they are fabulous for making backgrounds, decorating envelopes and more! And there are five coordinating sentiments! 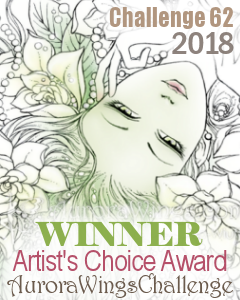 WooHooo! I just LOVE this set! You will see this sweet set in action as you hop around the Krafty blogs! The list of Krafty design team members and Krafty Guest (me) are below. Be sure to leave some love at each stop because one lucky commenter is going to WIN a $10 gift voucher to the krafty shop EACH DAY this week!! I coloured up this super sweet baby giraffe with my Copics. 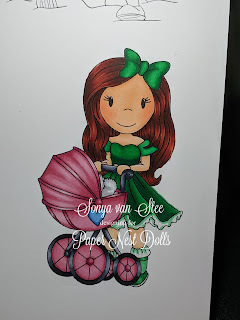 I know I wrote down what colours I used, but do you think I can find the list in the tornado that is my craft room right now? Nope! I'll probably find it tomorrow LOL! Oh well. I used yellows and browns - super helpful, I know!! I fussy cut around the cute little giraffe and then created a nice grassy patch with my Copics for her to sit in (I remember the green colours: G29, 09, 06) She is mounted on foam dots to give her some dimension. I thought I had some giraffe patterned paper, but I couldn't find any, so I had to get creative. I found a stencil with lots of uneven rectangles and sponged into it with brown and yello to create the background. 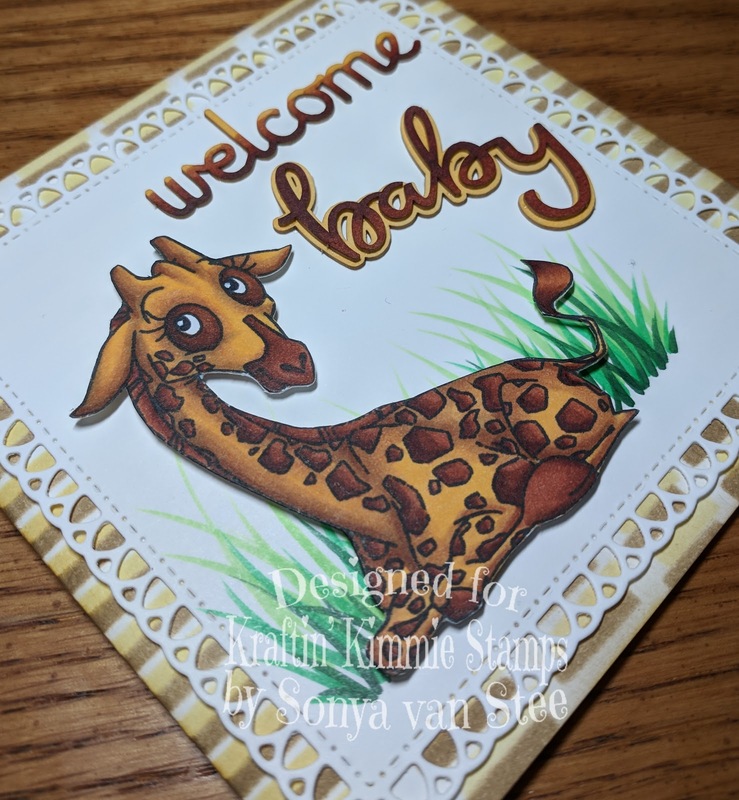 The sentiment is chipboard that I purchased from Make It Crafty and coloured with the matching colours from the giraffe. I really love how it all came together. Did I mention how ADORABLE these images are???? 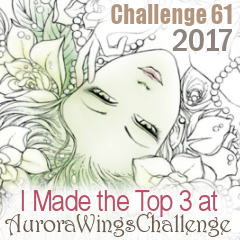 One more thing: Today is also CHALLENGE DAY during release week the theme is ANYTHING GOES!!! 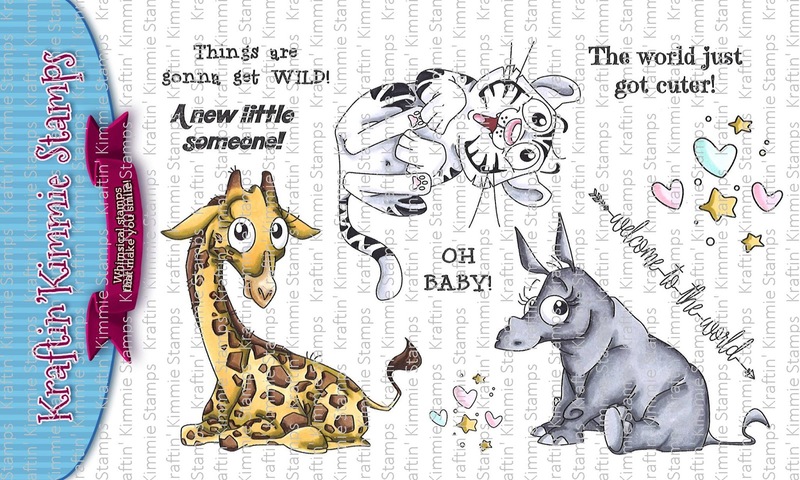 So create a card, scrapbook page or altered item with any Kraftin' Kimmie stamp!! Use any sketch, any design, any embellishments because Anything Goes! 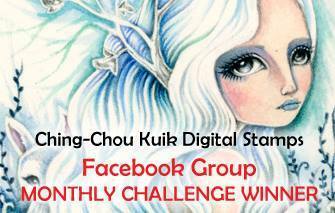 You have a week to join this challenge (until Feb 16th) and at the end of the month, we'll announce a WINNER from all of the weekly challenges for February! We hope you can play along for your chance to WIN a $40 Gift Certificate to use on ANYTHING you want in the shop!! Tomorrow morning at 11am EST we have our LIVE online RELEASE party! Come hang out with Kim and the Krafty Team to help celebrate the new release, check out lots of krafty kreations, have a chance to win some prizes and hang out with all our krafty friends! Sweet card with beautiful edges ! What a sweet and darling card! Lovely coloring. Thank you very much, Vivian! I appreciate your comments! Aren't they just the most adorable things ever!?! ?